Batman Arkham VR is the latest, and likely final, entry in the Batman Arkham saga. 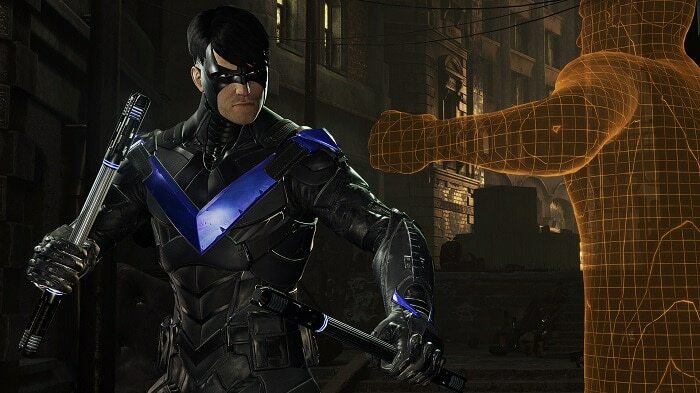 Developed by series originators Rocksteady, the game is the first to put players behind the cowl and into the role of Batman in a true virtual reality experience. A stunning first-person rendition of the Arkham series, this version of the game highlights Batman as the World’s Greatest Detective by putting players’ own deductive skills to the test. 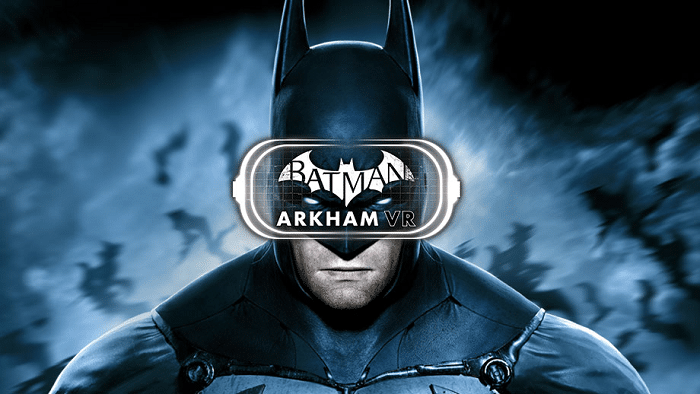 This Batman VR review takes a look at how the game works from a user’s perspective and whether it’s worthy of the mantle of the Bat. Batman Arkham VR is Rocksteady’s swan song insofar as the Arkham universe is concerned, and it’s a fantastic way to go out. Instead of trying to build on the ending of Arkham Knight, the game takes a step back and focuses on Batman as a detective. It’s something that has played an increasingly major role in the series since its second entry, but putting the mechanics at the forefront really help you to understand how much love the developer put into the game’s world. This Batman VR review was spent sifting through evidence, looking for clues, and trying to solve a mystery – something that’s been at the core of some of the best Batman stories ever written. Acrobatic fighting was traded for something more methodical and cerebral here, in a way that highlights Rocksteady’s storytelling above all else. As a player, you’ll have to remember that Batman’s real strength comes from his brilliant mind rather than his fists. This is also a game that shows off what virtual reality can be used to do. In a field that’s full of flight sims and zombie games, it’s nice to see something that requires more thought than twitch skills. This game feels like it could have easily been the first in a new series of adventures for Batman instead of a one-off return to a story that’s already been brought to an end. It’s really hard to write an objective review if you’re a big fan of Batman. This is honestly the best jump into the shoes of the Dark Knight ever made, simply because it puts the player behind the cowl. There’s a ton of work done to make the player feel like Batman, some of which involves some fairly technical wizardry under the hood. When you as a player look into the mirror, it’s Batman staring back. Something about that is cool to a degree that’s almost embarrassing to admit. Fortunately, there is a nice experience here even if you don’t want to be a total fanboy. The game leverages the well-created world of the Arkham series in order to craft an entirely-new Batman adventure. It’s impossible to talk about the story without giving away the twist, but let it be known that you’ll feel quite involved as it progresses. Taking the time to sort through the clues and search from evidence in a VR perspective is an amazing leap forward for a series that has always felt very immersive. It should also be noted that the game doesn’t rely on a lot of VR tricks to be solid. This would have made a nice little downloadable adventure even if the main Arkham series. It’s nice to play a VR game where the technology serves the game instead of vice versa. While the game itself is a great experience, it’s hard to call it a really great game. It’s a murder mystery first and foremost, which means you’re going to be going through clues and figuring out mysteries – something that you really can’t get much enjoyment out of twice. As it stands, you’ll probably be floored by the game’s major twist upon the first playthrough and then you’ll realize that there’s not a really good reason to come back to the game again. The lack of replay is only one of the problems with the game. If you didn’t enjoy the detective segments in the other Arkham games, you’ll probably find little to enjoy here. There’s none of Arkham’s signature combat in this game, which is probably for the best – it just wouldn’t work in the virtual reality arena. Unfortunately, that meant that our overall playtime during the review was relatively short. There’s just not much to the game. Finally, there are all the usual glitches that will take you out of an ambitious VR game. Jerky movement, some bad animations and a bit of stuttering will all remind you that you’re just playing a first-person Arkham game. It’s not a deal-breaker, but it’s the kind of thing that really detracts from the overall experience. i5 4590 or equivalent processor. NVIDIA GeForce GTX 1060 or AMD Radeon RX 480. VR-friendly controllers make the game much more fun. As such, it’s recommended that you play with either the Oculus Touch controllers on the Rift or with the Playstation Move controllers on PS4. It’s hard to give a solid score for this Batman VR review. If you’re a fan of the series or really want to play as the Dark Knight, it’s a solid must-buy. If you are looking for a deep VR experience, though, you’re not going to find what you’re looking for here. Instead, think of this game as a perfect purchase for those who want to try something novel. As an Arkham entry, it flounders; as a great demonstration of what can be done with VR, though, this game soars.